Visit the Dentist to Detect Cancer! Many people don’t realize how dentists can detect some of the most serious illnesses out there. 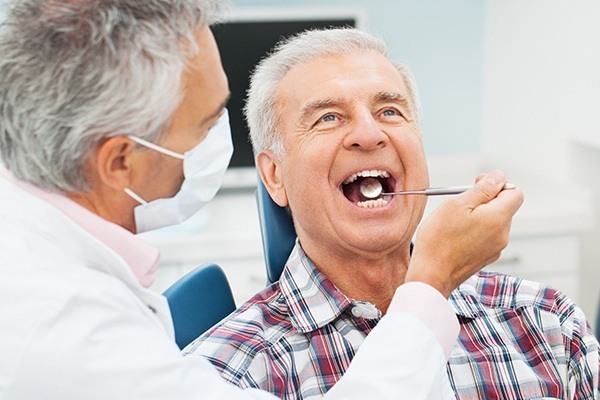 When you visit the doctors at Pelican Landing Dental for a routine examination or cleaning, they’re not just looking for the typical dental plaque, cavities and gum disease. They’re also on the lookout for a very serious form of cancer: oral cancer. In this month’s newsletter, we’ll be focusing on the causes, risks and symptoms of oral cancer and why they aren’t always so obvious. We’ll discuss how you can protect yourself and your family before it has a chance to develop and turn deadly. When it comes to detecting deadly, yet preventable disease, knowing is half the battle. The most effective way to manage and treat oral cancer is to identify it in its early stages, according to the Oral Cancer Foundation. Patients also have a much higher chance of surviving oral cancer if their dentist discovers it in the early stages. For example, current data on the survival rates show that out of the 50,000 people diagnosed with oral cancer every year, around 9,000 will die. That’s about one person, every hour of every day. For this reason, medical professionals across the country are emphasizing the importance of routine oral cancer screenings. Early detection can greatly increase the probability of survival, even as high as 80 to 90 percent. Therefore, preventive visits should not only be considered for your mouth’s general health, but your overall health as well. Detecting oral cancer early can truly mean the difference between life and death. There are several causes of oral cancer, but the most common causes include alcohol and tobacco use, especially when combined, according to the American Cancer Society. Drinking alcohol in excess on top of using tobacco has the potential to increase your risk as much as 100 times. In terms of risk factors, men are twice as likely to develop oral cancer than women, so they have extra incentive to visit our practice regularly. Keep in mind that you can still develop oral cancer even if you have no risk factors at all. It’s always the dentist’s responsibility to look for the early signs of oral cancer, just like how you’ll need to schedule appointments every six months. 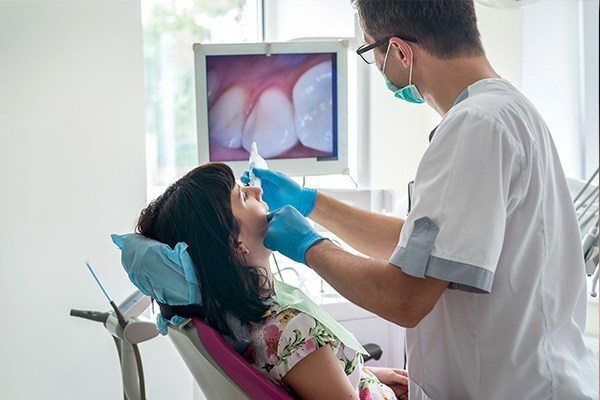 Luckily, our dentists utilize the latest oral cancer screening technology, training and expertise to identify the disease before it has the chance to become life-threatening. While biannual visits are important, you should also maintain a strict oral care routine at home, moderate your alcohol consumption, and avoid tobacco products altogether if you want to decrease your risk. The dentists and team at Pelican Landing Dental hope you take the time to address these concerns by maintaining routine dental visits. Give us a call to schedule an appointment and confirm no cancer is present!